Achieving the desired results requires proper system design, effective implementation strategies, and adequate management practices. These are matters that I have addressed in my books and articles. My favorite, and the most empowering approach, is to organize and/or support local credit clearing exchanges or associations that include several major businesses, service providers, and/or local government entities. These “trusted issuers” provide the economic foundation needed for a high volume, credible medium of exchange. That is the centerpiece of the multi-stage regional development plan that I have described in my latest book (Chapter 16) and elsewhere. There are, however, other possible approaches that may be taken as preliminary steps to prepare the ground. These include loyalty schemes, discount or rebate programs, and currencies based on charitable donations. Community Way monetizes some of the excess capacity of local businesses (transforms their valuable goods and services into a spendable medium), and allocates it to non-profit organizations and community improvement groups which can then spend it or sell it to cash-rich supporters who will then redeem it for donors’ goods and services.. There are of course a few details that must be added to make this approach operational. There needs to be some entity (non-profit) that will organize, recruit, and manage all of the myriad details involved in the process. That entity must eventually generate sufficient revenues to cover its costs and sustain the operation of the program. – t.h.g. This entry was posted in Developing Alternatives, Implementation Strategies and tagged community way, excess capacity, in-kind donations, launch, local currency, rebate. Bookmark the permalink. Sure, but taking care of the Earth requires that we transcend the debt-money system. I’m trying every day to learn more about Forex and this is a good start. Can anyone point me to even more places for learing forex? Developing a wider competitive, non-debt issuance could easily be allowed under the 1st amendment regarding religion. Any group could simply challenge the government’s right to issue currency “redeemed” at a rate of interest on religious grounds. I’m curious to see what the Supreme Court would have to say regarding Ezekiel 18:13, 22:12, or even Micah 2:5, which prohibits dividing property by popular vote. I’m surprised that legal tender laws haven’t already been challenged on religious grounds, since there are clear biblical laws that prohibit the use of usury, which is interest. In a nation that literally borrows money into existence at a rate of interest, legal tender cannot stand on religious grounds. As I understand it, the Fed creates money by buying US bonds and paying with new Fed notes. The Fed then refunds the interest on the bonds – less operating expense – to the US treasury. This is the creation of base money. 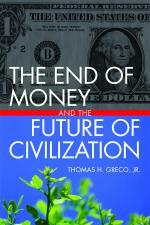 The the banking system via fractional reserve creates $9 or so for every $1 of Fed reserve base money. The banking system doesn’t refund the interest on the money they create through loans to anyone. I’m not religious myself but I think there is a 1st amendment right to issue currency via right to peaceful assembly. However, the court system is corrupt. Legal tender laws are confiscatory when they make and inflatable currency a legal tender for private debt. This amounts to tampering with the obligation of contracts. Australian economist Steve Keen has shown the money multiplier method is not really followed by real banks. Instead, banks create money through loans endogenously and then borrow base money to comply with regulations. I think people have been running these too idealistically. Confusing it with charity or club, extending credit before it is earned, and failure to aggressively pursue a profit, I believe, are typical problems associated with their regular failure.